“Worship is very important, it is vital”. – Dr. Noel Woodroffe, President, Congress WBN. 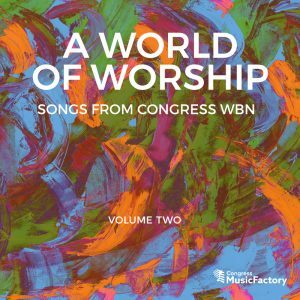 A World of Worship 2 invites us to consider the nature of our heart response toward our Creator and elevate the place of our offering to Him. It is a call upward to a realm of unshakable corporate faith and complete oneness as we march forward to the fulfillment of His divine purpose. Let this resource encourage and strengthen you as we join together across many nations to worship, exalt and lift up His great name.